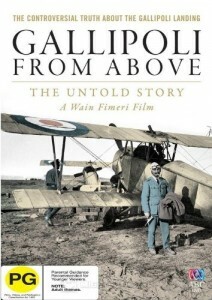 Gallipoli from above: the untold story. The great war. Volume 1, This may last a long time. World War I : the centenary collection. Volume 1. World War 1 in colour. Charlotte (Lottie) Le Gallais is a distant relative of mine, who joined the New Zealand Army Nursing Service Corps. Her registration details can be found in the New Zealand Registers of Medical Practitioners and Nurses, 1873, 1882-1933, from the Ancestry database (available in-library only. Check out our Genealogy page for further information). She was one of fourteen nursing sisters who were selected for the first voyage of Hospital Ship No. 1 (the ‘Maheno’), which left Wellington 10 July 1915, and was bound for Gallipoli. Lottie completed her voyage, and was posted to the retired list 21 June 1916. 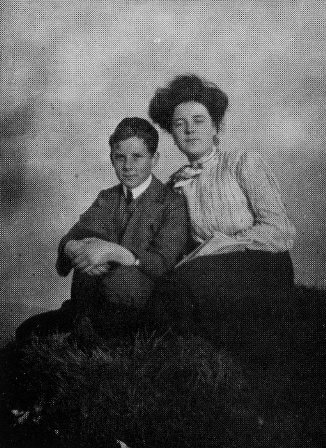 On her return to New Zealand, she married her fiancé, Charles Gardner, with whom she had two children. Lottie died in 1956. Two of Lottie’s four brothers served in WWI – Leddra (Leddie), who was killed in action at Gallipoli 23 July 1915, and Owen, who fought in France, and survived the war to return home. 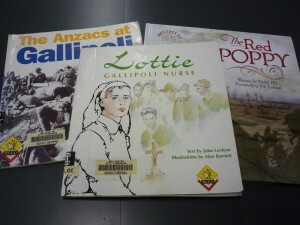 Lottie : Gallipoli nurse / text by John Lockyer ; illustrations by Alan Barnett. Anzac girls : the extraordinary story of our World War I nurses / Peter Rees. The white ships : New Zealand’s First World War hospital ships / Gavin McLean. Over the next year many schools will have a World War One focus, requiring children to research some aspect of the war, or the war time era. The list of potential topics is long and the sheer amount of information available out there can be overwhelming. It can be difficult to know where to find reliable information that is age-appropriate for your children. Here we have created a guide to reputable online resources that are suitable for children. This is the final of three parts published in this series. They will soon be available as resources on one page, which we will provide a link to once it has gone live. 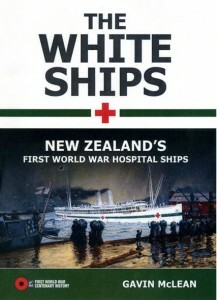 — DigitalNZ is an online resource for images and other media: http://www.digitalnz.org/ Use their search box to find World War One (or Great War) media. 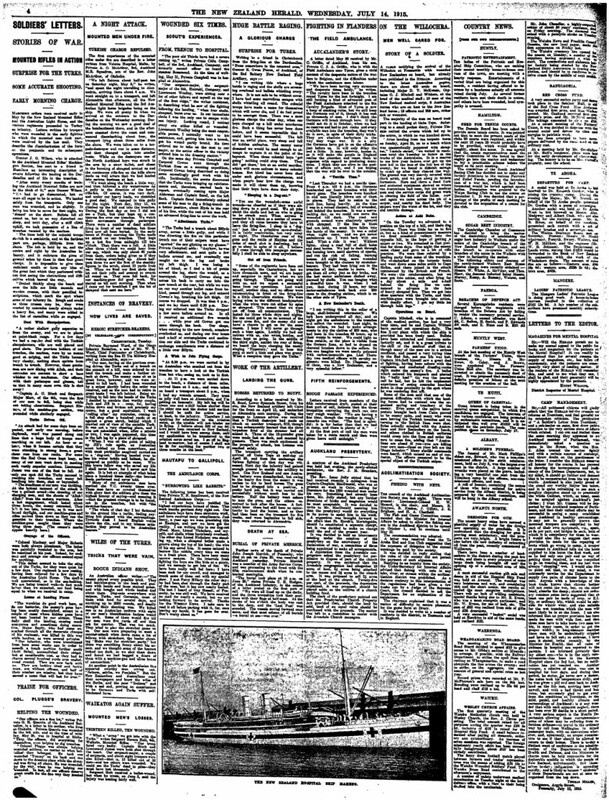 — Papers past is a digital archive of New Zealand Newspapers: http://paperspast.natlib.govt.nz/cgi-bin/paperspast Search for World War One, Great War, or individual battles and campaigns. You can limit the results by date, region and title of publication. For New Zealanders April 25th is the day we remember those from our nation who left our shores to fight in wars. 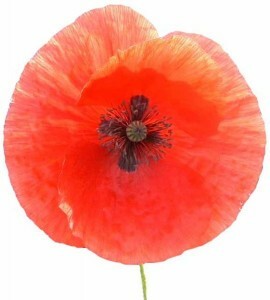 For many of us it’s the day we wear a red poppy and perhaps attend the local memorial service. The number attending the memorial services is growing and all day television coverage with interviews and war documentaries are now part of our Anzac Day experience. Next year the chance to attend the ANZAC memorial service, to be held at Anzac Cove, to celebrate the 100 year anniversary of the landing at Gallipoli was much sought after and a ticket ballot was announced for family members of those who fought at Gallipoli. A newspaper article War records minefield by Michelle Duff in the Sunday Star Times highlighted the fact that sometimes the families did not know the details of family member’s war records and that a common misconception was the thinking that if your family member fought in the First World War then they would have been at Gallipoli. This brings us to the question, do you know where your relatives served in World War One? 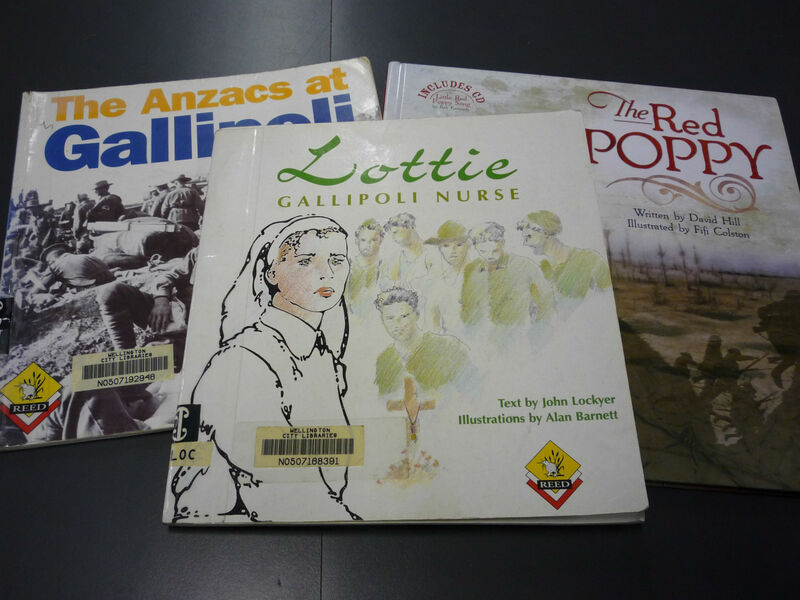 Genealogy is a popular topic here at Wellington City Libraries and we have a number of resources to help you discover if your relative did indeed serve at Gallipoli. Your first point of call may be our Genealogy Popular Topics Page. Here you can find general information on researching your family history. From this page there are links to Military Resources. This page is a wealth of information for finding out about your family members’ military service. Available from internet PCs within our libraries. Contains millions of records accessible in one powerful search. Access is through the My Gateway page on our library website. – New Zealand Army WWII Nominal Rolls, 1939-1948. 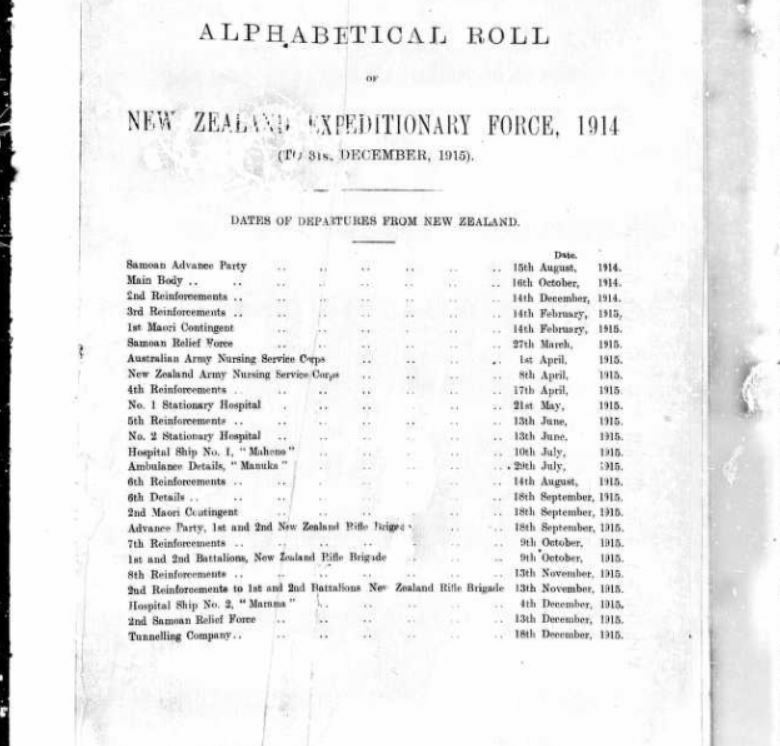 Archives New Zealand offer a reference guide to the war information they hold in PDF form. You can search the National Archives Archway Database to discover what military records are held by Archives and it also searches on probate records. Searching your relatives name may give you the names and dates of the files, record numbers and where the files are kept. Commonwealth War Graves Commission The “Debt of Honour Register” is the Commission’s database listing the 1.7 million men and women of the Commonwealth forces who died during the two world wars and the 23,000 cemeteries, memorials and other locations world-wide where they are commemorated. The register can also be searched for details of the 67,000 Commonwealth civilians who died as a result of enemy action in the Second World War. Information includes age, date of death, parents and parents’ place of residence. With the celebrations and remembrance of the centenary of the declaration and start of World War One there are also many new books being published on World War One topics. The following two are good sources of material to be able to learn about the soldiers experiences through the eyes of the soldiers who were there. 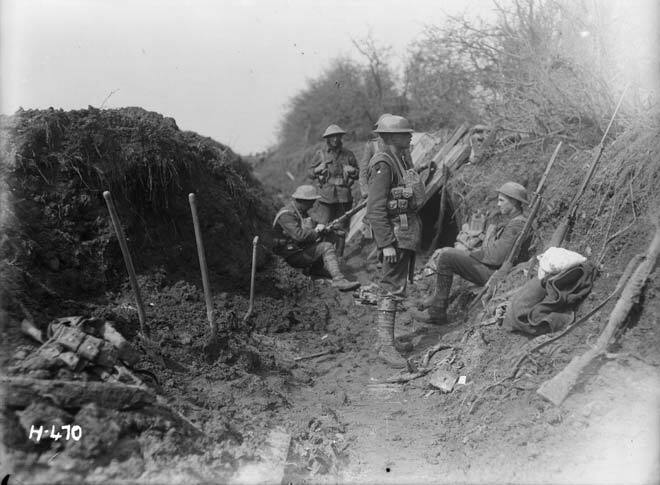 Fighting for empire: New Zealand and the Great War of 1914-1918 / Christopher Pugsley. An awfully big adventure : New Zealand World War One veterans tell their stories / selected and edited by Jane Tolerton from interviews for the World War One Oral History Archive. Over the next year many schools will have a World War One focus, requiring children to research some aspect of the war, or the war time era. The list of potential topics is long and the sheer amount of information available out there can be overwhelming. It can be difficult to know where to find reliable information that is age-appropriate for your children. Here we have created a guide to reputable online resources that are suitable for children. This is the second of three parts to be published. They will then be available as resources on one page, which we will provide a link to once it has gone live. Over the next year many schools will have a World War One focus, requiring children to research some aspect of the war, or the war time era. The list of potential topics is long and the sheer amount of information available out there can be overwhelming. It can be difficult to know where to find reliable information that is age-appropriate for your children. Here we have created a guide to reputable online resources that are suitable for children. This is the first of three parts to be published over the next week. They will then be available as resources on one page, which we will provide a link to once it has gone live. — FirstWorldWar.com has a comprehensive page on how the war began: http://www.firstworldwar.com/origins/index.htm (this site hasn’t been updated since 2009 so we suggest checking any information you find against other websites). This site contains advertising. — Good for answering ‘what is..?’ questions, Wisegeek has a section on the treaty: http://www.wisegeek.com/what-is-the-treaty-of-versailles.htm This site contains advertising. — FirstWorldWar.com has a primary documents page that focuses on the treaty, and includes a breakdown of the treaty’s articles: http://www.firstworldwar.com/source/versailles.htm (this site contains advertising). — Omni Atlas contains an interactive map of Europe that illustrates the impact of the treaty on the boarders and alliances: http://maps.omniatlas.com/europe/19190628/ (this site contains advertising). Whilst many Māori were eager to join the war effort overseas, others, especially those from Waikato, Taranaki and Urewera districts were reluctant to be involved. There were several reasons for this reluctance, one being the wholesale confiscation of large areas of Māori land in Waikato following the land wars of the 1860s, and another falling from the belief that, as followers of Te Whiti and Tohu, Māori should not enter into direct conflict, but continue to uphold a position of passive resistance. Because of a rule of Imperial Government that “no native race should be used in hostilities between European races”, Maori were not immediately sent to war. But on learning that Indian troops were in France, and African troops were to assist France, Maori, with the help of their MPs were permitted to send 250 men, as a Native Contingent, to Egypt. This first Native Contingent, (Te Hokowhitu a Tu) left Wellington on 14 February, 1915. The Maori Contingent reached Gallipoli, via Malta around 2 July, 1915. They were involved in the Battle of Sari Bair, and Chunuk Bair, August of 1915. On 20 February 1916, the remnants of the Native Contingent, plus Māori reinforcements, Otago Mounted Rifles, Niue Islanders and Rarotongan recruits became known as the New Zealand Pioneer Battalion. In February 1916, Godley reorganised the New Zealand Expeditionary Force into the New Zealand Division and reunited Māori troops in the New Zealand Pioneer Battalion. Maori in the great war / James Cowan. The last Maopo : the life and First World War sacrifice of Wiremu Maopo Letters from the First World War by Wiremu Tanai Kaihau Maopo (1886-1929) ; narrative by his great-granddaughter Tania Te Rangingangana Simpson (1965-). Gallipoli : the New Zealand story / Christopher Pugsley. Pugsley, Christopher. The Maori Battalion in France in the First World War, in, The French and the Maori edited by John Dunmore. Heritage Press, 1992. Is the pen mightier than the sword? 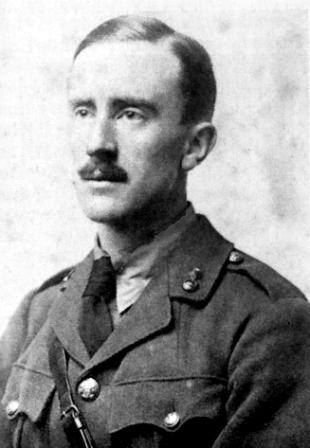 In a physical sense alas no — otherwise the celebrated war poets would not have been so cruelly cut down in their prime — but the curious phenomenon about this terrible episode in our history is that it produced a magnificent flowering of the written word. Many of those fighting at the front were highly educated men, well versed in the classics and literature. 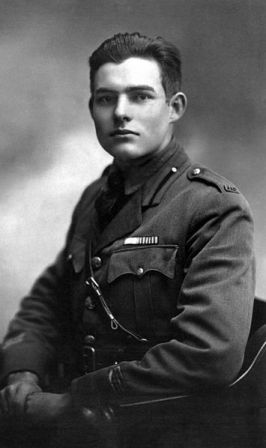 Poetry — considered the highest of the literary forms — was the natural medium in which to express not the pity and the horror of this dreadful war but also a heightened sense of the beauty of life. It is the poignancy of this mix, coupled with the youth of the poets, which has the power to move us so profoundly today. “The Great silence” followed The Great War — a period when everybody wanted to forget about it and nobody wanted to talk about it. Memoirs were slow to come, and many have only just been produced using letters and diaries as source material. There are many many books about this war to end all wars — and this being the centenary year of the conflict there are likely to be many more. Those we have chosen below are a guide to what is held in each category. Have a read! 1914 : poetry remembers / edited by Carol Ann Duffy. First World War poems / edited by Andrew Motion. 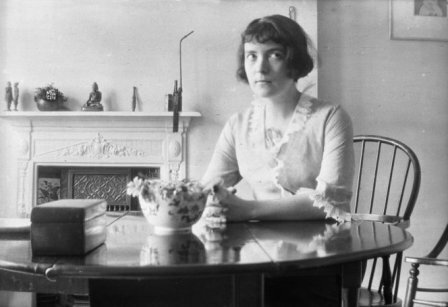 Testament of youth : an autobiographical study of the years 1900-1925 / by Vera Brittain ; with an introduction by Mark Bostridge ; and a preface by Shirley Williams. For king and country : voices from the First World War / edited by Brian MacArthur. 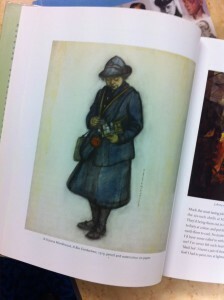 Fighting on the Home Front : the legacy of women in World War One / Kate Adie. Tickled to death to go : memoirs of a cavalryman in the First World War / edited by Richard van Emden. Diary of an ordinary woman / Margaret Forster. Letters were the commonest form of communication in the early 1900s and people of all classes wrote them frequently. In the highly literate letters of the officers and the simple and direct communications of the ordinary soldiers we see the a true history of the war emerge — the terrible battles, the day-to-day experience of the troops, and the realities of life at home. Letters from the trenches : a soldier of the Great War / Bill Lamin. “I was very pleased to hear from you and that you are going on all right . . . We have had another terrible time this week the men here say it was worst than the Somme advance last July. We lost a lot of men but we got where we were asked to take. It was awful I am alright got buried and knocked about but quite well now and hope to remain so. We were praised by the general and all, everybody said we had done well, quite a success . . . It is a rum job waiting for the time to come to (Syndetics summary). 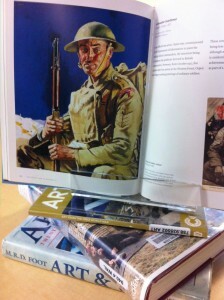 Private wars : personal records of the Anzacs in the Great War / Greg Kerr. “Greg Kerr retraces the journey of Australian and New Zealand troops from Gallipoli in 1915 to the final penetration of the Hindenburg Line in 1918. While covering the general strategic course of the war, the author focuses on the human side of the war. Similar to his acclaimed Lost Anzacs: The Story of Two Brothers, Kerr follows the experiences of roughly sixty figures–officers, privates, nurses–and captures their experiences through judicious and uncensored extracts from their letters and diaries. The book also includes numerous photos, many previously unpublished. The combination of photos, letters, and historical backgroundmake for an unforgettable account of what the war was really like on the ground.” (Syndetics summary). Singled out : how two million women survived without men after the First World War / Virginia Nicholson. Casualty figures : how five men survived the First World War / Michèle Barrett.